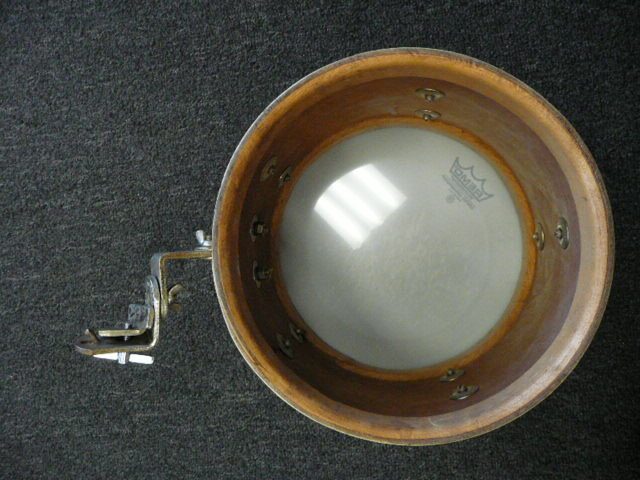 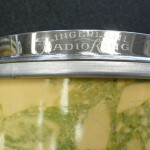 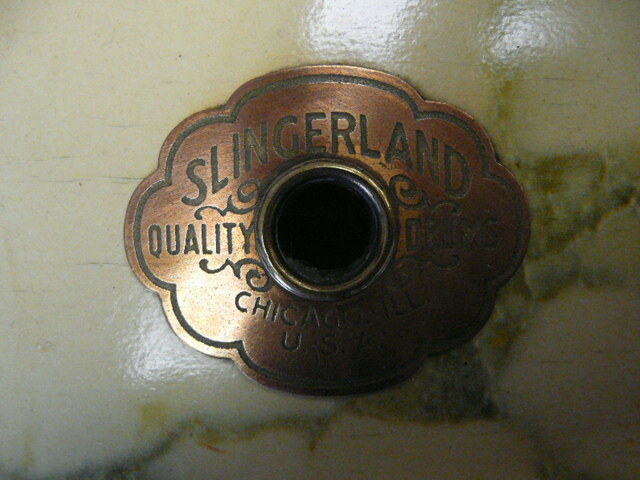 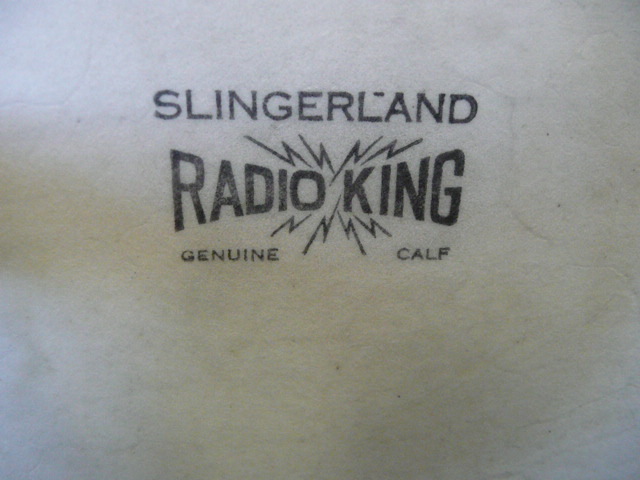 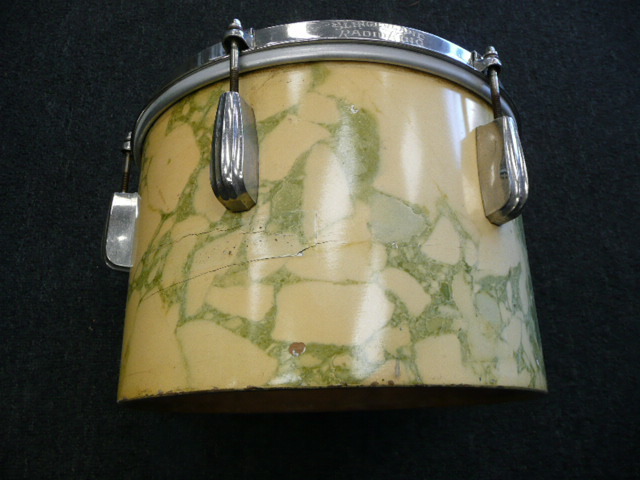 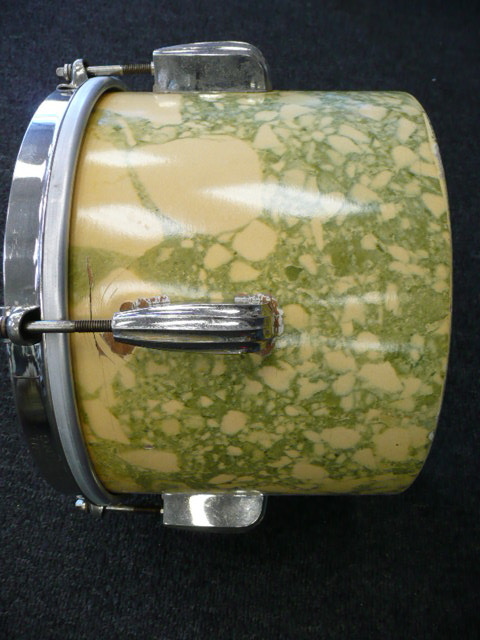 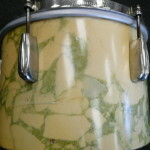 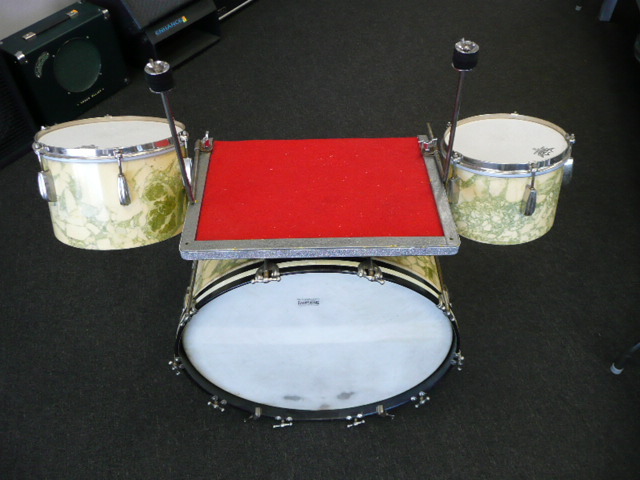 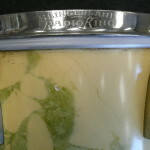 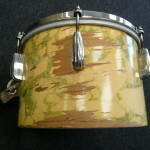 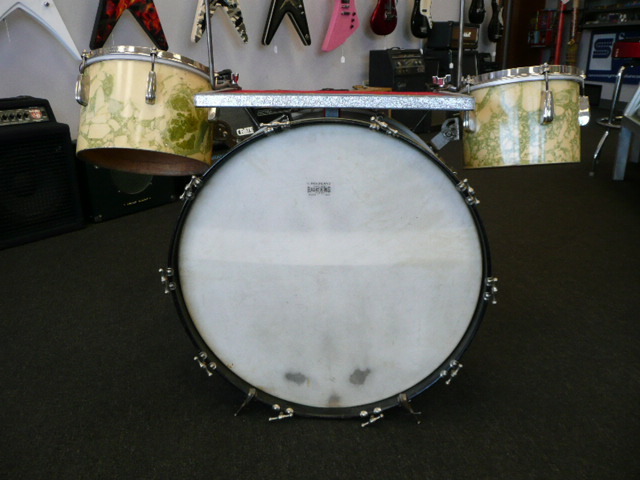 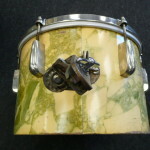 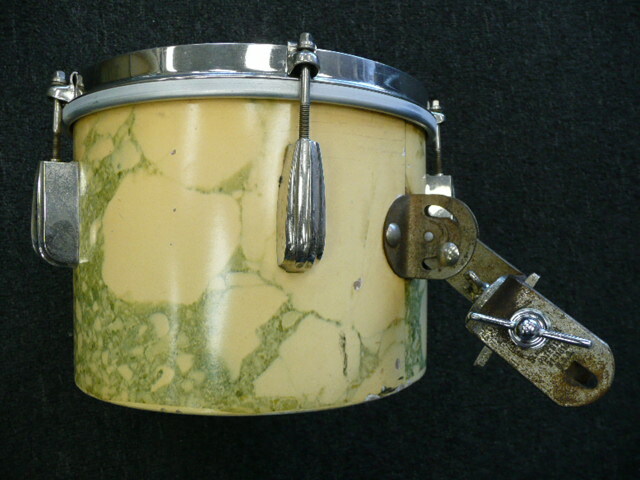 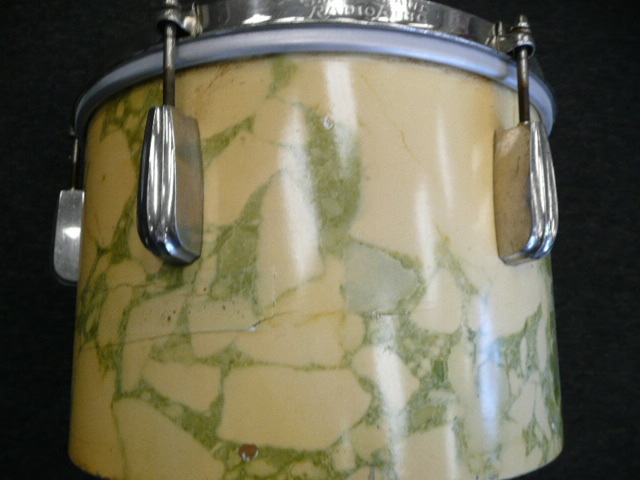 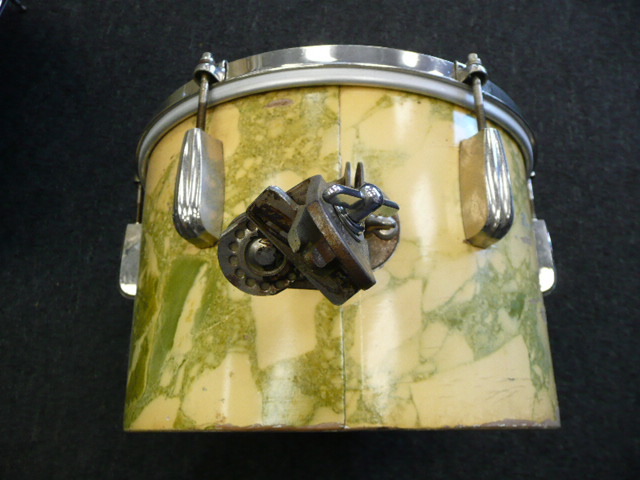 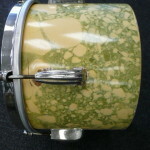 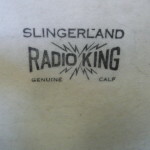 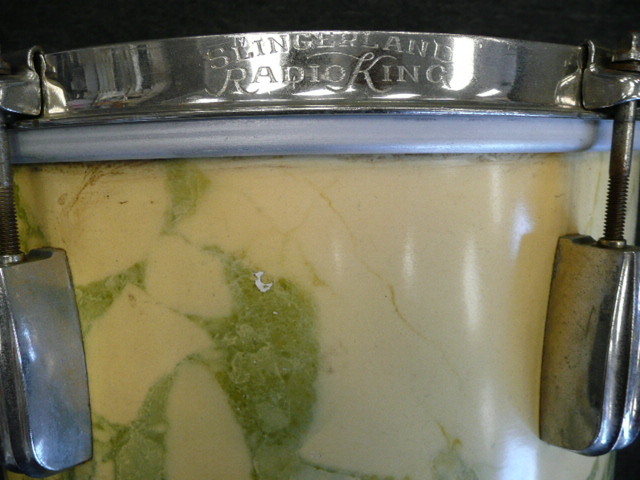 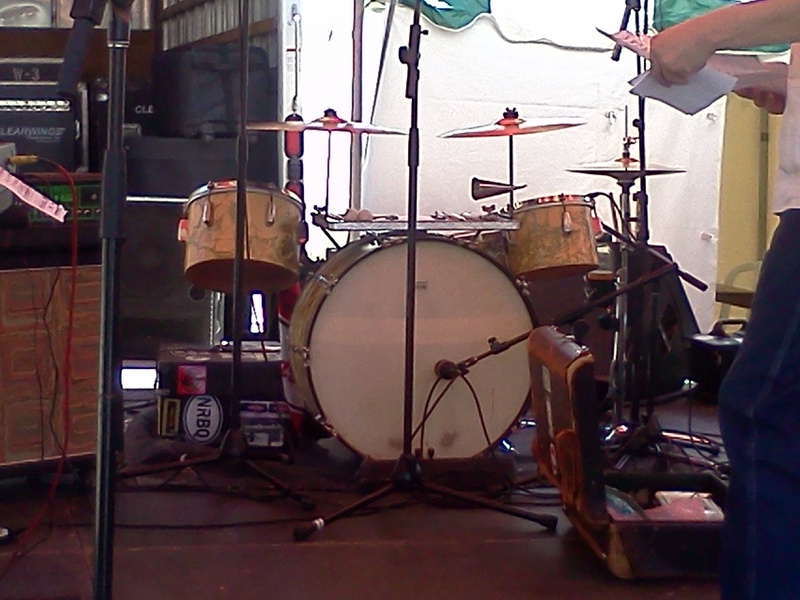 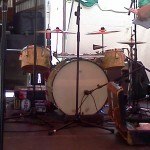 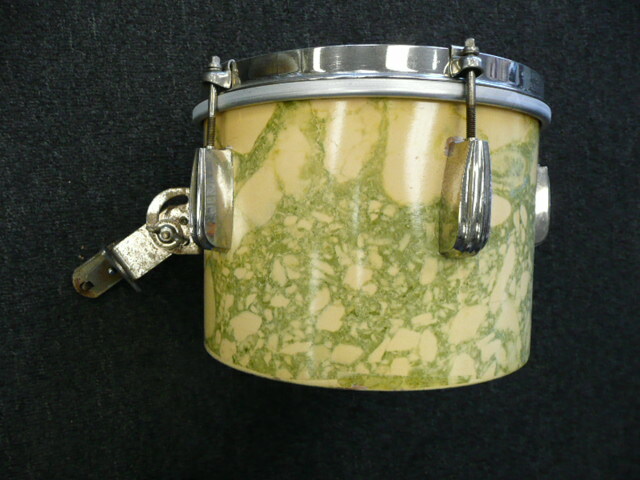 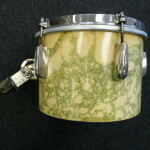 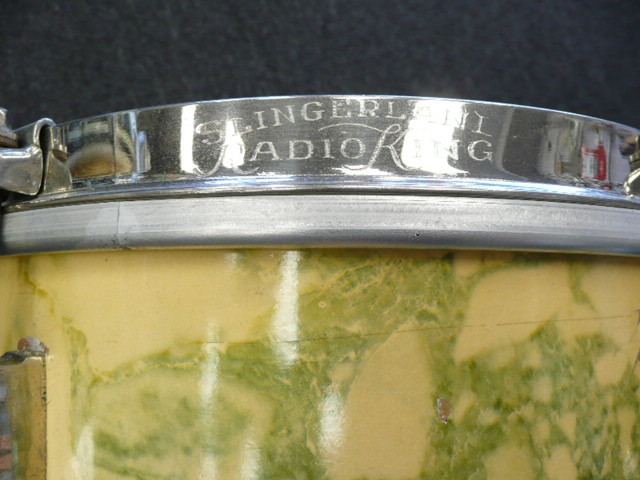 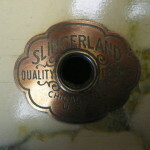 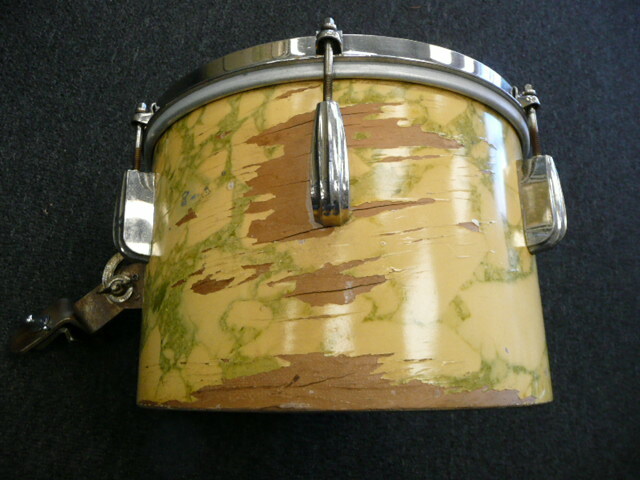 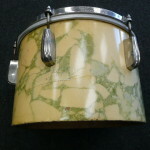 Slingerland Krupa Jr. 1940s Drum set. 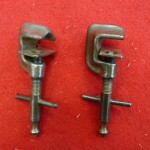 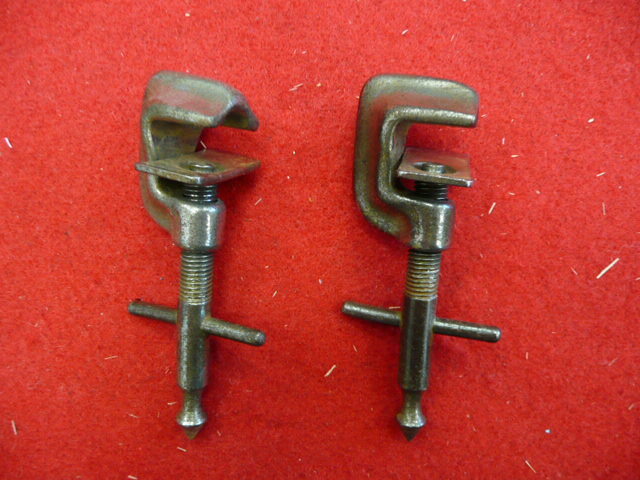 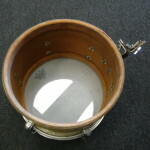 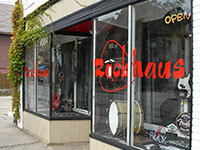 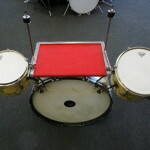 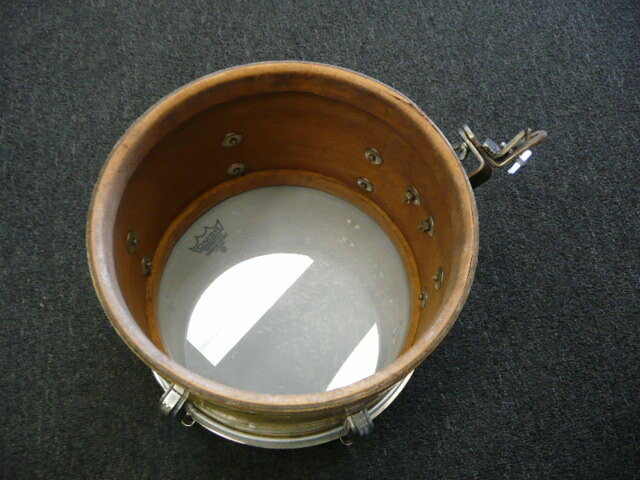 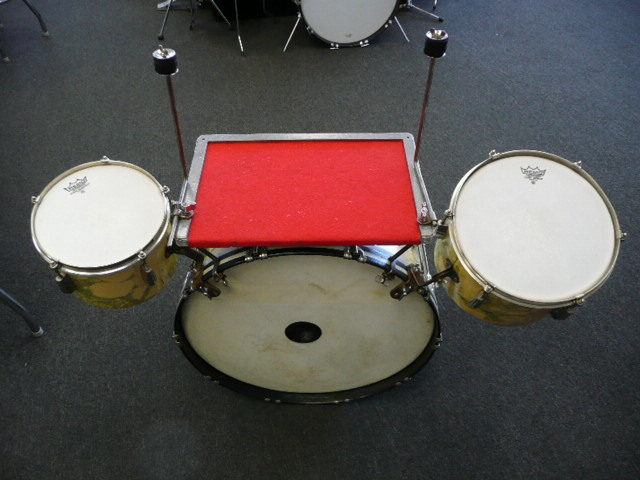 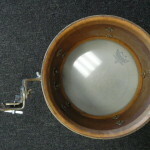 24″, 10″, 12″.With trap table and cymbal L arms. 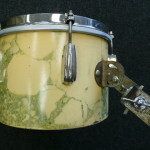 What you see in the photos that is on the set is what you will get (not the stage shot photo) Condition is as you see it and is in fine working condition. 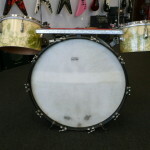 It was used up to a year ago and is now at the shop however not on the floor.